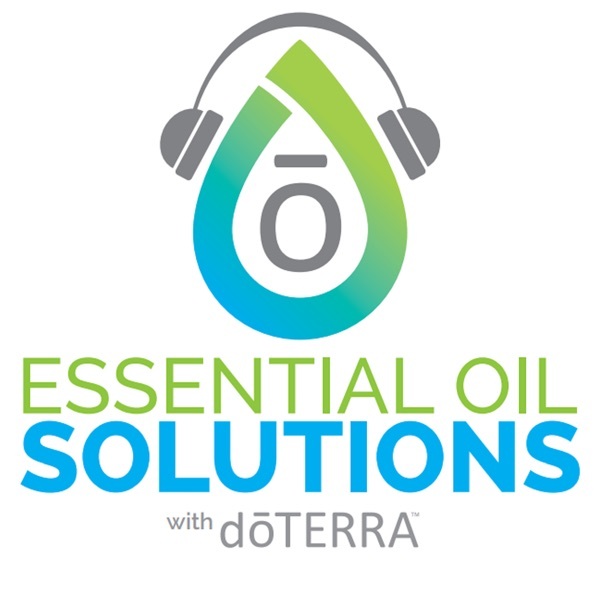 Essential Oil Solutions with doTERRA, the podcast that teaches you how to use essential oils and embrace them in your everyday life. Join us each week to hear experts share insights, advice, and tips on using doTERRA essential oils. Subscribe today to learn how essential oils work and why you can feel confident using them in your home. You can customize your learning experience by downloading the worksheets that accompany these episodes at https://www.doterra.com/US/en/podcast. This episode Julie Davey talk about how she cleans her home without using harsh chemicals. She'll address the big questions like: How can I clean my house without chemicals? What is the best natural cleaning solution? As well as: How can I use essential oils to keep my home clean? This episode Sharla Snow talks about using natural laundry solutions in her home. She'll answer questions like: What's the best natural laundry detergent? How can I make my clothes smell good naturally? Which essential oils are good for laundry? And more! This episode Liz Freeman talks about how to incorporate essential oils into an athletic lifestyle. She'll talk about how essential oils have changed her athletic career. Like how they help her calm the butterflies in her stomach and how she uses essential oils to help her body recover after a long day. This episode Laura Jacobs talks about daily self-care and how to incorporate essential oils into a daily routine. She'll discuss various aspects of your life such as eating right, exercising, reducing your toxic load and more! This episode Mariza Snyder talks about using essential oils to support your mental health and clarity. She'll talk about which essential oils and supplements are her favorite and how you can use them in your life. This episode David Stirling, Founding Executive and CEO of doTERRA, will be talking about why 2019 is a good time to try essential oils, what his favorite new essential oil product is, what makes doTERRA different, and more! This episode is a continuation of the discussion with Dr. Brannick Riggs and Dr. Heather Pickett. They will be talking about emotional health and how you can use essential oils to help yourself and your family support your emotional health. They will share what oils they have seen work in their patients, how to find the right oils for you, as well as lifestyle changes you can make to improve your emotional health. This episode, Dr. Brannick Riggs and Dr. Heather Pickett will be talking about emotional health and how you can use essential oils to help yourself and your family support your emotional health. They will share what oils they have seen work in their patients, how to find the right oils for you, as well as lifestyle changes you can make to improve your emotional health. This episode Katie McGiven will be talking about her 5 Must Know Daily Habits with Essential Oils. She'll share the daily routine she uses to make sure she is reaching her potential each day, what oils she uses, and the incredible benefits she's seen in her life and her health. This episode Kateri Reyes will be talking about essential oils for sleep. She'll share the emotional journey that led her to essential oils, how her sleep has improved, what oils she uses, and some methods to use them with the whole family. This episode Nicole Moultrie will be talking about essential oils for energy. She'll give examples of the different types of oils that can be used for energy, how to use them, as well as her favorite tips and tricks to bringing energy into her life through essential oils.